The Signature Collection Sailings offer Exceptional Value and Exclusive Amenities. 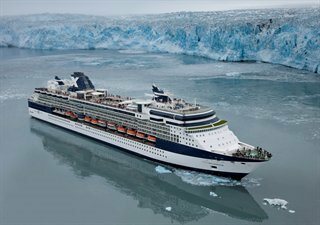 A favorite of many vacationers, Celebrity Millennium® was "Solsticized" in May of 2012 and emerged with many award-winning and unique features. She's been renewed with spa-inspired AquaClass® staterooms; the AquaClass signature restaurant, Blu, and the addition of verandas to her chic Celebrity suites. There's no better way to experience the exotic beauty of Asia and the South Pacific than aboard Celebrity Millennium. Is she out of the ordinary? Definitely. Images are representative of facilities onboard. Actual configurations and interiors may vary. *Promotion is subject to availability, may not be combinable with certain fares or other amenity offers, is capacity controlled and may be withdrawn at any time. Other restrictions apply. © Copyright 2017 Cruise Company. All Rights Reserved.